This resource was developed to provide patients and families with information on what they should expect when working with a pharmacist. The relationship with a pharmacist is essential to understanding medications and how to get the most benefit while avoiding unwanted side effects. The CPNP Foundation along with Creative Education Concepts brought NAMI's StigmaFree campaign to the 2018 CPNP Annual Meeting. One component of the campaign, a discussion den titled StigmaFree Me! provided tangible takeaways that all healthcare professionals can apply to their practice to avoid stigma. 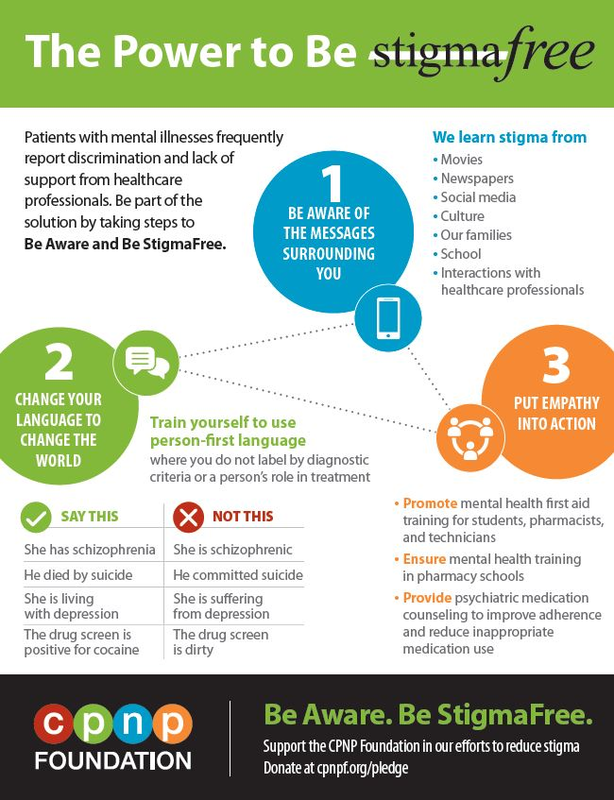 Download the Power to Be StigmaFree Infographic as a continual reminder of how you, as a healthcare professional, can Be StigmaFree. At the 2015 CPNP Annual Meeting, the Foundation supported programming entitled “Stigma and Psychiatric Disorders: Understanding and Managing Personal Biases." That program is available as a resource for all healthcare practitioners. The College of Psychiatric and Neurologic Pharmacists Foundation conducts, encourages, and supports research that advances our vision and mission. This is evident through our collaborative work with the National Alliance on Mental Illness (NAMI) and our support of future pharmacists. 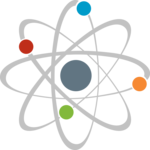 This grant program seeks to encourage doctor of pharmacy students and post-doctoral residents with an interest in psychiatric and neurologic disorders to investigate topics in line with the Foundation's mission and vision. Using a competitive selection process, the Foundation annually funds three grants of up to $1500 each. Applications are due annually by August 31 and announced by October 1. Recipients must submit their findings as a poster presentation at the CPNP Annual Meeting the following year. The Foundation has placed a priority upon enhancing our understanding of the issues around stigma and social distancing among community pharmacists as a beginning point to make inroads in decreasing stigma among all healthcare providers. The Foundation collaborated with Dr. Vincent Giannetti and colleagues at the Duquesne University Mylan School of Pharmacy to explore community pharmacists’ knowledge of and attitudes toward mental illness, comfort and confidence in dealing with persons with mental illness, and the services they provide to this population via a comprehensive national survey. The results of the survey were compiled and published in a paper titled, Community pharmacists and mental illness: a survey of service provision, stigma, attitudes and beliefs. The CPNP Foundation encourages the use and reference of this paper for pharmacies working to become more mental health friendly, for the training and education of community pharmacists, for research, etc. Members of the CPNP Foundation who participated in this project include Charlie Caley, Jerry McKee, Barbara Wells, and Dean Najarian. Collaborators from Duquesne University include Vince Gianetti, Khalid Kamal, Jordan Covvey, Tyler Dunn, and Pratyusha Vadagam. The Student Registration/Travel Grant Program promotes the learning through attendance at the College of Psychiatric and Neurologic Pharmacists (CPNP) Annual Meeting. Thanks to the generous support of the CPNP Past Presidents’ Destiny Fund and CPNP members, in 2018 this will be accomplished by offering 20 grants to students to cover their full conference registration plus additional funding to apply toward travel and lodging expenses. In addition to access to programming specific to psychopharmacology, students network with practitioners and can opt to have participate in a mentoring session. View the full press release announcing the 2018 registration grants. The application review and selection process incorporates the use of a scoring rubric that takes into account each student's CV or resume, personal essay, and letter of recommendation. Additionally, students can earn bonus points through submission of a poster abstract or being a contributing author on a poster abstract submitted for presentation at the Annual Meeting for which they are applying for a registration/travel grant. In collaboration with the National Alliance on Mental Illness (NAMI), the Foundation conducted research which revealed that while many patients with mental illness and their caregivers value their professional relationship with their pharmacist, many others do not have such a relationship. Those without such a relationship may be missing the opportunity to benefit from the professional services that pharmacists can offer. Read the complete report. The Mental Health Pharmacy Directory was designed to connect individuals and healthcare professionals with pharmacies who provide services and compassionate care to patients living with mental illness. This directory assisted patients, their caregivers, and their health care team by allowing them to search for mental health pharmacies (MHP) in their area who had specialized knowledge about the medications they take for conditions such as depression, anxiety, bipolar disorder, and schizophrenia. The project was discontinued in June 2018.